Cut 5 patches 2.5 x 3 inches to make lips and pin right sides together over the marked and interfaced button holes. On the interfacing side stitch around the window using 1.5 stitch length on the machine. 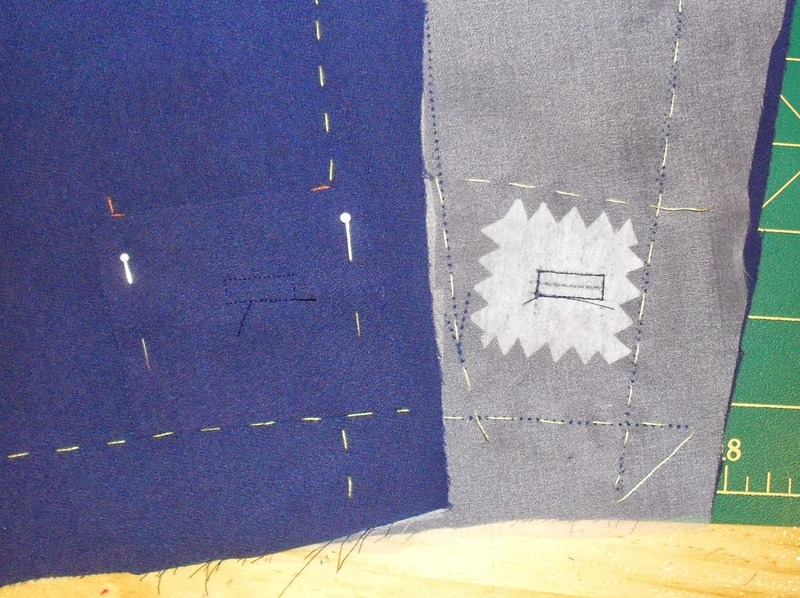 Cut along the center line of the buttonhole and into the courners of the rectangles. 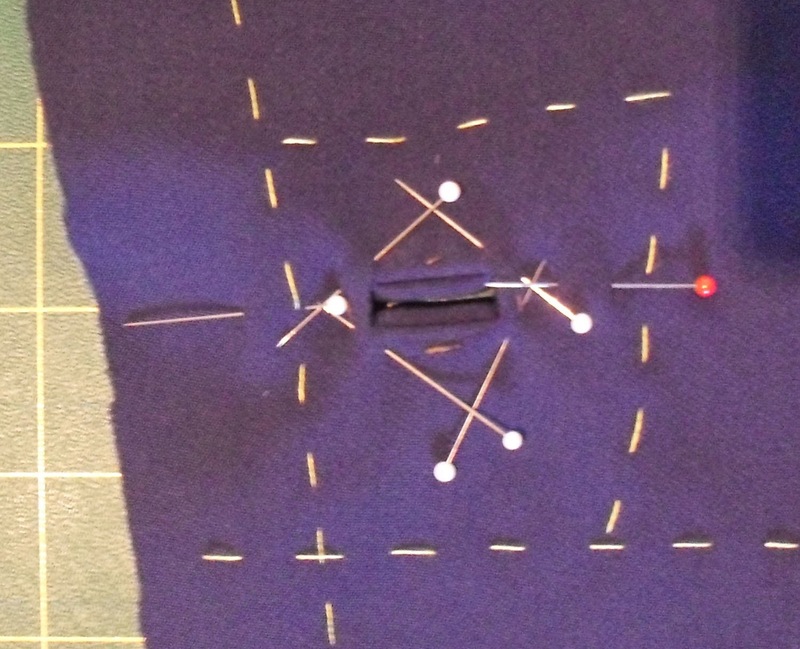 Form lips of buttonholes and pin in place. 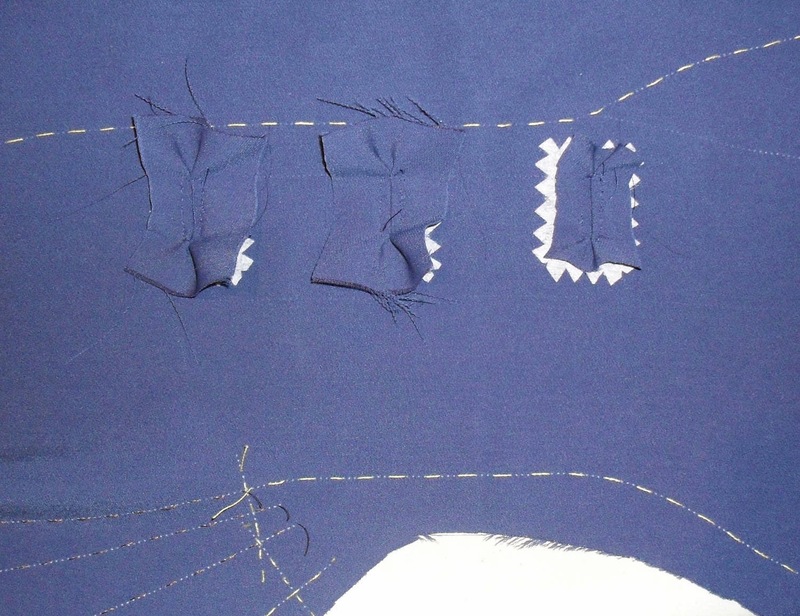 Hand stitch in the ditch all around the outside of the buttonhole and whip stitch lips together with silk basing thread. 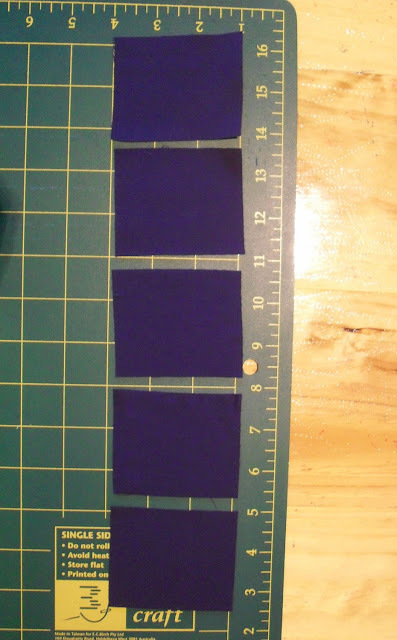 Trim off the excess fabric around the buttonhole and lightly steam and pat with hand to flatten.